While the holidays bring us cooler weather, presents, days off work and school, and Starbucks holiday beverages, the true joy of the season is spending time with family. Whether we stay home for a family movie night or travel across the country to see relatives, the most important thing during the holidays is being with loved ones. If you live in or near Sarasota, you don't have to go where its snows to experience the Christmas magic together. Make memories that will last a lifetime with these six splendid things to do with your family around Sarasota during the holidays while it's Christmas in Sarasota approaches. Happening down Sarasota's Main Street on Saturday, December 1, this annual event will be fun for all ages! There will be high school marching band performances, parade floats, and a grand finale appearance by Santa Claus himself. Tell your family to put on their walking shoes and head to Historic Downtown Venice on Thursday, December 6 for an evening of holiday merriment. 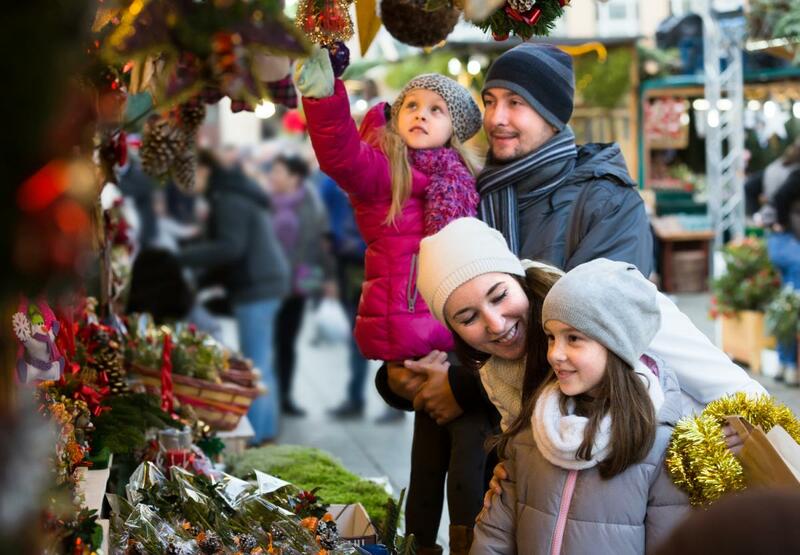 Stroll beautifully-decorated streets, visit local stores, and enjoy a family meal out at one of their great restaurants before meeting Santa at the Burgundy Square Breezeway! Have a night of holiday music at The Ringling Museum on Thursday, December 6 with a musical performances from students of all ages from local schools. Tickets are $15 for adults and $5 for kids or one unwrapped toy donation per person. Not too far from Sarasota, the annual Night Before Christmas returns to Bradenton's GT Bray Park on Saturday, December 9 from 10 a.m. to 2 p.m. With face painting, bounce houses, shows, hayrides, and more, this festival is guaranteed fun for everyone! Walk through "Bethlehem" in this spectacular interactive experience featuring nearly 100 cast members, live animals, and flying angels. Visitors also get to interact with the cast and pet the animals. Admission is free, and there will be one performance nightly at 7:30 p.m.
From December 2-9, the musical production with seven different performances by the First Baptist Church of Sarasota will perform. The tree itself is 25 feet tall and is adorned with over 10,000 lights, and 12 levels to hold over 100 choir members! This year, make the holidays unforgettable and do one of these six things with your family around Sarasota this holiday season. Find more information on Christmas in Sarasota by registering on 941area, your free guide to everything going on in the Sarasota and Bradenton area.